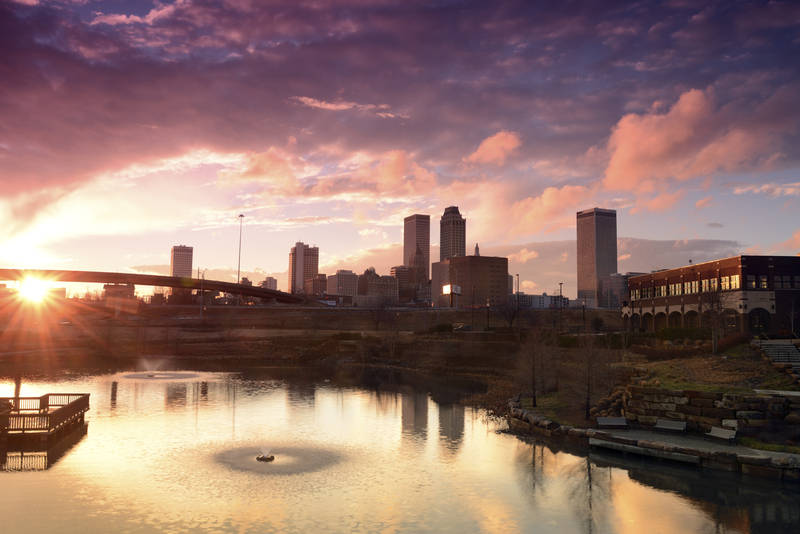 Tear Sheet 2 : Downtown Tulsa and fading storm. I stepped outside after work and I was awe struck by the clouds. It had been raining for most of the day, with the setting sun and the fading clouds, it was brilliant! I loaded up and raced down the street to a park near the intersection. After parking I made my way to a spot that over looked a pond with downtown in the background as you can see. I set up my tripod and camera and set to work making exposures. Fading storm clouds over downtown Tulsa, OK. I recently have invested in some new gear, so I was excited about getting out and using it. I have upgraded to the Nikon D800, as well as adding a new lens the 24-70mm f2.8. All I can say is SWEET! None the less, jumping from the D80 to the D800 has been a bit of a learning curve, but I am loving every minute of it. I have been shooting with the D80 since it came out, and it was about time to make a move. I look forward to added another lens soon, the 70-200mm f2.8 along with the 2X teleconverter, I’ll say it agin SWEET! ← January 2013 Free Wallpaper is here…the 1st one of the year!! !